When will be Smollett Eats next episode air date? Is Smollett Eats renewed or cancelled? Where to countdown Smollett Eats air dates? Is Smollett Eats worth watching? Hang out with one of America's first families of food, The Smolletts, as they braise, bake and grill their way through the week. From putting on the perfect kids' birthday party, to throwing a midnight BBQ for their friends, these six siblings whip up some of their family's favorite recipes while giving us a glimpse into the relationships that make these brothers and sisters so much fun. Baby back ribs, steak banh mi tacos, pork chili verde and an Italian pop-up menu are just some of the mouthwatering dishes that cooking ace Jake Smollett and his brothers and sisters bring to the table on Smollett Eats. It's a meal you won't want to miss! 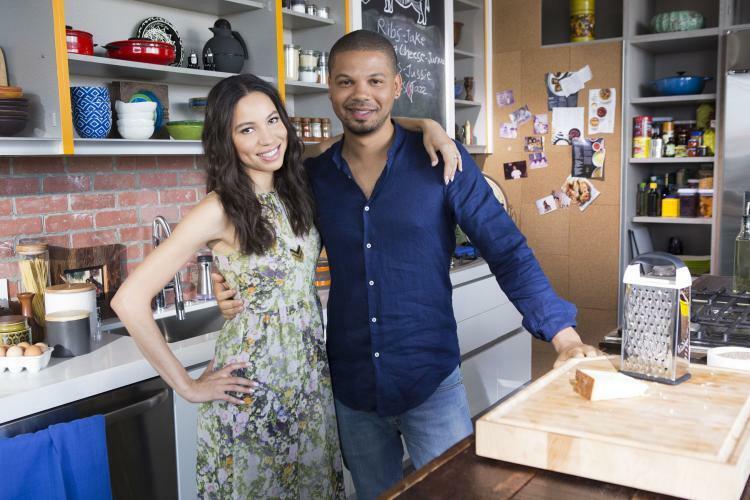 Jake Smollett takes over a friend's food truck and brags about his Steak Banh Mi tacos on social media; Jurnee Smollett-Bell and Jazz Smollett see his video and decide to crash the action by showing up in their own truck. The Smollets throw their annual barbecue under the stars; Jake serves apricot-mustard glazed baby back ribs; Jussie makes his famous Teriyaki chicken wings with pineapple and ginger glaze; Jurnee plans to wow with her gooey stovetop mac n' cheese. The Smollett kids want to celebrate their mom's New Orleans upbringing by having a seafood boil; Jake assumes Jurnee and Jazz will help him with the grunt work, but his sisters are nowhere to be seen; Jake rewards himself with corn bread. Jocqui wants to prove himself to his family by planning a Mexican menu; he learns how to make homemade tortillas and a horchata-based cocktail by visiting Chichen Itza. Smollett Eats next episode air date provides TVMaze for you. EpisoDate.com is your TV show guide to Countdown Smollett Eats Episode Air Dates and to stay in touch with Smollett Eats next episode Air Date and your others favorite TV Shows. Add the shows you like to a "Watchlist" and let the site take it from there.